Taking off eye makeup should be a top priority for us because, if not done carefully, it can be quite harmful and over time result in wrinkles and dullness. Therefore, it is absolutely essential that we properly remove eye makeup using specialised eye makeup removers which are designed to tackle even the most stubborn mascaras, eyeliners, and kajals. Since there are a number of products on the market, it can be quite hard to choose the right one for you. To make this process of selection easier, here is a list of points to keep in mind when selecting eye make up removers and a ranking of our recommended products that you can easily purchase online! One may question if there really is a need for a special makeup remover for eyes but it is important to remember that the skin around our eyes is much weaker than the rest of the face. Another point that we must consider is that we use a wide variety of products on our eyes, which can be difficult to remove with a simple face cleanser. Eye makeup consists of various products such as eyeshadow, eyeliner, kajal, and mascara, all on top of a base layer of primer, foundation, BB cream, or loose powder. In addition to this, a lot of the products we use are waterproof, particularly mascara, making it very difficult to remove them properly. Furthermore, the skin around the eyes is very sensitive, thin, and quite prone to irritation. Hence, when we use simple cleansers, we end up scrubbing and tugging at the skin, which is known to cause wrinkles and dullness. Instead of putting our skin through so much pain, we could use eye makeup removers which gently remove all traces of eye makeup without any struggles. Now, before we all start thinking that since eye makeup removers are so great we should use them all over, we need to remember that most eye makeup removers are designed specifically for the eyes. They cannot perform the job of normal face cleansers properly, therefore we must always not forget to use a face wash and double cleanse our face to remove any leftover makeup. Now that we have established that eye makeup removers should be an integral part of our skincare routines, let’s discuss four points that we must keep in mind when selecting an eye makeup remover to suit our particular needs. Eye makeup removers can largely be divided into two types, first being water/oil based liquid type while second being cleansing wipes type. Liquid types can be both oil and water based, and there are a number of products available that fall into this type. We soak a cotton swab with the remover, place it on our lids for a few seconds, and then gently wipe away the makeup. There are a few products that fit the cleansing wipes category as well, and the only difference between this type and the liquid type is that the wipes are already soaked in the remover. This makes them ideal for travelling as they are easy to carry and less messy, although they do tend to be more expensive than the liquid types in terms of cost per use. Depending on our needs, we can choose the type of product that suits us the most. In order to avoid tugging and scrubbing, eye makeup removers can include strong cleansing agents, making it necessary for them to also have some ingredients to balance out the harshness and restore moisture to the skin. 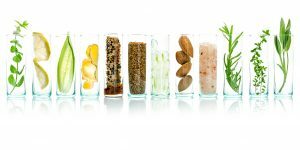 Since these removers can be quite drying, it is important to check for ingredients that counter that effect, such as hyaluronic acid, lipids, or natural oils. Regular use of eye makeup can take a toll on the skin around our eyes, making it dry and irritated, therefore, we must be very careful when choosing an eye makeup remover and make sure that it has ingredients that will help repair the damage our skin has gone through. Another reason that we must be mindful of the ingredients is that sometimes products can contain skin irritants which can damage our skin. Depending on our skin types, we need to choose products that do not contain ingredients that can harm our skin. Usually, products with mineral oils, alcohols, heavy fragrances, and parabens are considered to be harmful and irritating, however, since everybody’s skin is different, you should choose a product that best suits your skin. 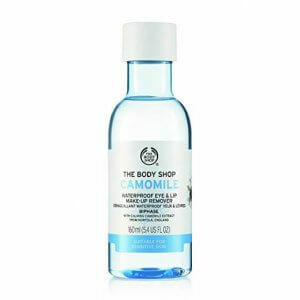 A useful way of choosing an eye makeup remover is to consider using one from the same brand as the eye makeup. If the eye makeup and eye makeup remover are from the same brand, they will know exactly which ingredients have been used in both the products and make sure that they are in sync. Since we may be using different brands for kajal, eyeliner, and mascara, it is recommended to match the eye makeup remover with the mascara brand since that is often the hardest to take off. This method of choosing is great for people who have no idea which product to choose and do not want to stray too far from their comfort zones. Finally, it’s time to reveal our top 10 recommendations for the best eye makeup removers on the market that you can conveniently order online. We’ll be rating them based on their overall performance, including how nourishing they are as well as their cost per use. For those who are on the move constantly and need something that is hassle-free and easy to use, this is a handy product. It is all natural, containing cucumber and aloe extracts to help calm your skin and is also paraben free, which allows it to gently take off eye makeup without upsetting the skin. On the downside though, despite doing a wonderful job at taking off eye makeup, it is quite a pricey product if we consider the amount of use you actually get out of it. Furthermore, although it has 95% natural ingredients and claims to be safe for sensitive skin and lens wearers, it can sting quite a bit so it isn’t the best choice for those with sensitive skin. Since the brand is a high-end one though, the price is no surprise, but it does inspire a lot of expectations and it lives up to them all successfully. If you have sensitive skin and are tired of irritating the delicate skin around eyes, this product could be your saviour. It is absolutely amazing as it does not cause any burning sensation and gently takes off even the most stubborn waterproof mascaras and eyeliners without any need for scrubbing or tugging. The major reason that this product is ranked so low is that it is quite an expensive purchase despite being much smaller in quantity compared to the rest. 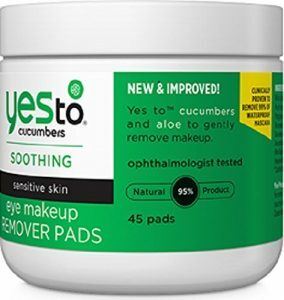 Unlike most liquid type eye makeup removers, these pads are also not soaked in an oil-based solution, so they do not leave behind an oily film on the skin after use. They are instead alcohol based which helps them take off eye makeup with ease but can cause them to sting a little for those with extremely sensitive skin. The size of each of these cotton pads is quite large which makes them great for taking off all of your eye makeup with ease. As with most makeup remover pads, the best thing about these is that they are really easy to travel with and not at all messy or bulky, but the downside, once again, is that they are quite expensive for the amount of product you actually get. For those who follow the Korean skincare routine or are simply interested in Korean skincare products, this is the product for you. 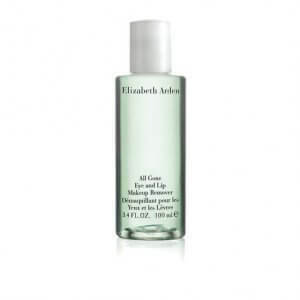 This eye makeup remover is gentle enough for sensitive skin as it contains natural ingredients such as soapwort and rice water which keep the skin hydrated and help brighten it from within. The only downside to it is that it takes a bit longer to remove long-lasting makeup, although it does manage to remove all of it properly. If you usually wear long-wearing makeup and do not want to spend too long taking it off then consider choosing another product. If you have been wanting to invest in an eye makeup remover that is luxurious and has long-term results then look no further. This product has a mild but nourishing formula that contains naturally moisturising and soothing ingredients such as apricot kernel oil and cucumber extract, both of which are great for dry and sensitive skin. The formula is so gentle that some users claim that it doesn’t hurt even if it enters the eyes! Although it seems like an expensive product initially, you only need to use a little bit to take off all your eye makeup so it lasts for a long time as well making it pretty cost effective. However, it is not recommended for people who wear waterproof makeup regularly as the formula is too mild to clean that. But if you have sensitive or dry skin, do not wear long-lasting makeup, and want to give your skin a treat, then this product is perfect for you. If you’ve been struggling with lash fallout due to hard to remove waterproof mascaras then consider trying this product. It takes off even the toughest smudge-proof mascaras and eyeliners with just one swipe, without any tugging or pulling. Despite having an oil-based formula, it does not feel greasy, and it works well even for those with sensitive skin as it is exceptionally mild and does not irritate the skin. The only downside is that it is one of the most expensive eye makeup removers on the market. 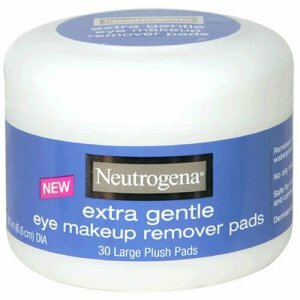 Anyone with weak lashes who does not want to struggle with removing eye makeup and is willing to invest a little bit more should get this product. This is one of the most basic oil-based eye makeup removers on the market and it is extremely affordable. It does not make any huge claims but it does its job, it effortlessly removes even the most waterproof makeup without irritating the skin or making it dry. It is ideal for those with normal to dry skin who are looking for a low-cost option. However, since the formula for this product is oil based, it might not work quite as well for oily skin types. Another important thing to keep in mind when buying this product is that because the size of this is much smaller in comparison to the rest, it can run out very quickly and needs replacing more often. One of the most affordable options on the market, this product manages to live up to its claims of removing long-lasting waterproof makeup with ease. It can take off even heavier eye makeup with just a few swipes without any struggles. It works well for contact lens wearers too as the product is mild and does not cause any irritation. Despite being an oil based product, it has a lightweight formula that does not leave the pores clogged. It also doesn’t leave the skin feeling tight or dry, nor does it leave a greasy film on the skin. This product is great for normal skin types because not only is the formulation amazing but you also don’t have to burn a hole in your pocket to get it! This product is made with natural chamomile extracts from Norfolk, England, which makes it very gentle and nourishing for the skin. It removes even the most long-wearing waterproof eye makeup without requiring any rubbing and does not cause any irritation. It is free of harmful toxins, has a very mild fragrance, and is safe for those with sensitive skin. Although the price of this product seems to be closer to that of higher end cosmetics, the quantity of it makes up for this as some users claim that one bottle can last for almost 6 months, which makes this product one of the most cost-effective ones on the market! Another positive aspect of buying this product is that the brand is cruelty-free and also engages in community fair trade so it truly is a win for all! For anyone who wants to purchase an affordable eye makeup remover that won’t run out quickly, this is it. This product has one of the largest quantities while also having one of the most affordable price tags. The formula contains natural ingredients such as cucumber and aloe extracts which act as anti-irritants and keep sensitive skin from being damaged. 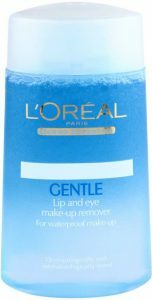 It works really well and can easily take off even the toughest waterproof mascaras without having to pull on the eyelashes. Although it claims to be oil-free, it is partially oil based, but it does not leave the skin feeling greasy and clogged, rather it leaves it clean and refreshed. 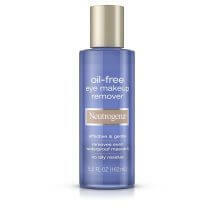 This makes it ideal for almost anyone who is looking for a great, budget-friendly eye makeup remover! 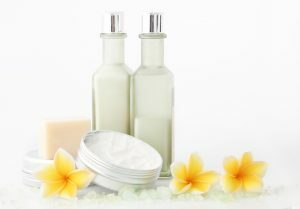 The world of cosmetics can be quite challenging, with numerous brands making all sorts of claims, but it is important to remember what our skin needs and choose a product accordingly. In our busy lifestyles, we often forget to take care of our skin properly, trying to rush through our cleansing routines by rubbing and scrubbing. 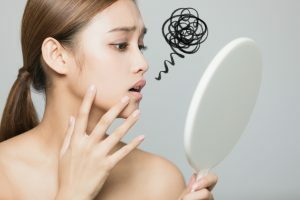 We forget that while makeup makes us prettier, skincare keeps us looking beautiful even without makeup, hence it is absolutely essential that we spend a little more thought on it. Hopefully, this post helped you understand how to choose an eye makeup remover for your particular needs and you could find a product that suits you perfectly. With the help of the above-mentioned products, let us try to keep the delicate skin around our eyes healthy, wrinkle-free, and bright!